The Guardian Angels is the epic and tumultuous story of two star-crossed lovers who werent just soul-mates but were also each others protectors. The fates of Adi Mehta and Radha Deodhar are deeply entwined when within days of their first rendezvous they save each others lives. he is the son of a billionaire, she is the daughter of a socialist. he is quiet and unassuming, she is a firebrand and spirited. However, the unexplained phenomena ties them forever whenever they are in peril, they are each others only saviors. The story dates back to early 1990s from Radha's daily journal. The story has been narrated with third person (author) and from Radha's. Adi hails from an affluent family of four who lives in a twenty storeyed house. Radha comes from a simple middle class family with high moral values. Radha saves Adi from getting beaten up at school and friendship turns into love. I liked the flow at which the author narrates the lives of Adi and Radha, how they communicate via emails, long to see each others reply. There is lot of emotions expressed though both are hundreds and thousands miles apart. The language is simple and easy to understand, but the vocabulary is bland and could have been much better. I felt the narration of the book is very similar to The Homing Pigeons, written on the similar lines. 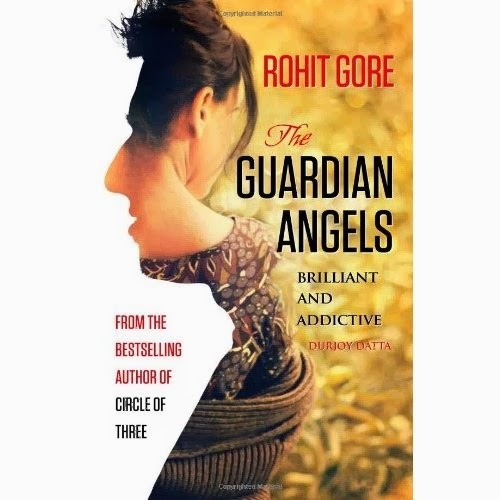 Rohit Gore, the author of this book has written bestselling novels, Circle of Three, A Darker Dawn and Focus, Sam. I haven't read any of these and plan to pick them. Rohit Gore grew up in a number of towns in India. At various times in his childhood, he wanted to be a theatre actor, an architect and a bookshop owner. After his engineering degree, he was based in Mumbai. An MBA from S P Jain Institute followed and since then he is in the IT industry. He loves sports, specifically the discussing and watching part of it, since the playing days are long gone. He has travelled a lot a consequence of living in Mumbai and London. His greatest passion is reading and it inspired him to write. He is a frequent contributor to many online writing forums and wishes there were more writing groups. He has a keen interest in history, especially the history of music and arts. One of the things he would like to get better at is photography. He currently lives in Pune, a wonderfully vibrant city with his wife Pranita and son Sahil. This book review is a part of "The Tales Pensive Review Program".